Anywho, while GPS makers try to keep their products relevant, there is another kind of maps quickly populating Web browsers across this great land of ours — JudgmentalMaps.com. These annotated maps take a comedic, but arguably realistic, slant on how to get about town. How many times have you been new in a city and wondered where are the places to avoid? Well, this is the map for you. Reflecting attitudes, making generalities, and casting wide nets of stereotypes — that’s a cartographer’s dream right? All those map makers in the days of yesteryear when the world was flat surely thought that. Such a better time. 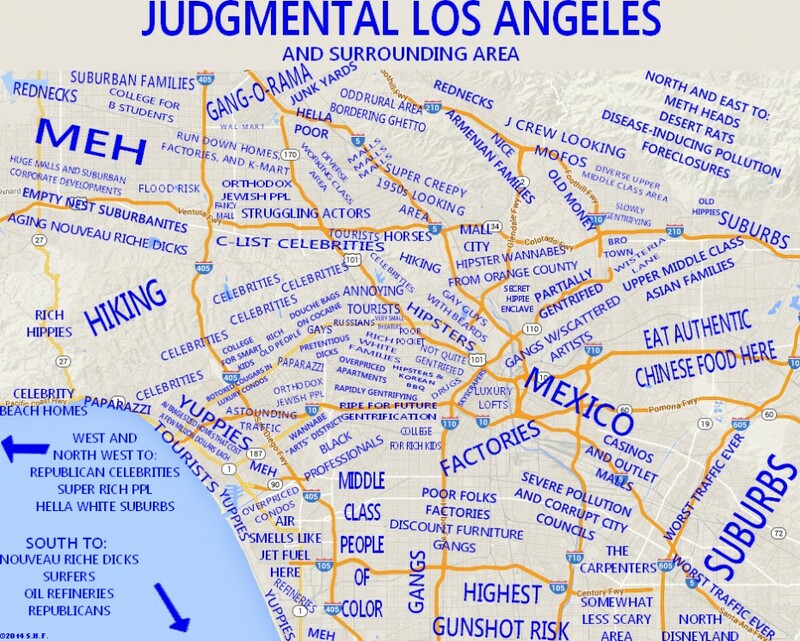 For instance, if you visit the aforementioned map maker of snark, you see this overview of Los Angeles. From Meh to Mexico, Gunshot Risk to Gang-O-Rama, it’s all there for tourists to enjoy and any leering convention and visitors board to plan a PR campaign against forthwith. 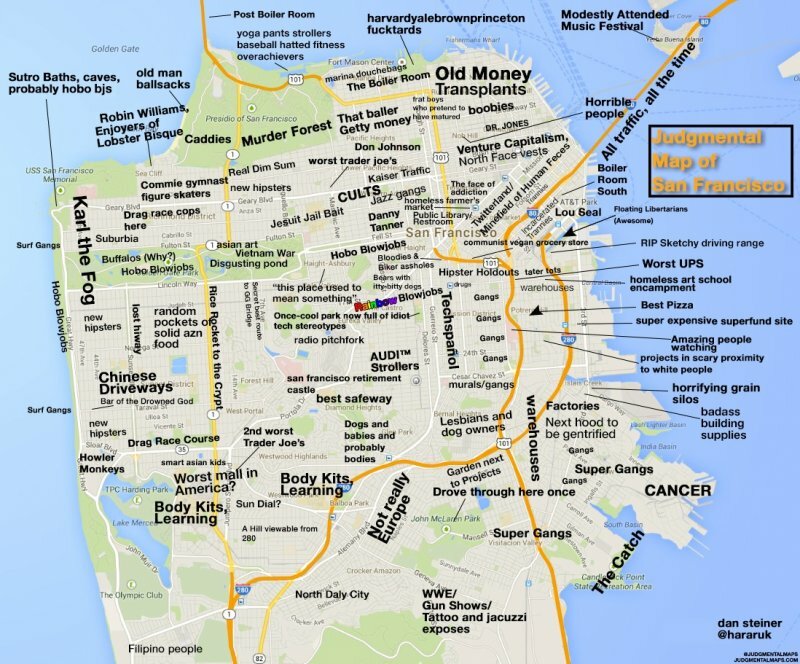 According to this Business Insider article, Judgmental Maps is the brainchild of comedian Trent Gillaspie. Many of his comedy routines involved the gentrification and changes that were happening in Denver, where he lived from 1995 until 2013. He got the idea for making a map of Denver by how he would describe the neighborhoods to his friends and audiences. Here’s one of San Francisco, with even more smarmy than the previous map. Mayor Edwin Lee of the City by the Bay, play some Journey, and pick up the white courtesy phone. The “Lights” are down in the city.